U.S. TV newsers have made their way to Havana to cover the death of former Cuban president Fidel Castro. In the early hours following Castro’s death Saturday, CNN’s Patrick Oppmann was the only U.S. TV correspondent in Cuba. 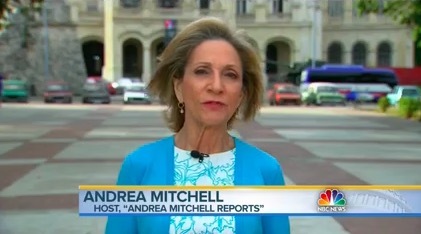 ABC’s David Muir will anchor World News Tonight Sunday from Havana. Jim Avila, who was in Cuba the day the U.S. announced a return to relations with the island nation two years ago, was back in Havana this morning. He’s made more than 20 trips to Cuba over the last 22 years. CBS Sunday Morning had several stories on Castro’s death. CBS’s Manuel Bojorquez is in Havana and Jonathan Vigliotti reported on international reaction from London. Fox News has Phil Keating reporting from Miami and Steve Harrigan in Havana.